The Mandel family is rich, powerful and superstitious. Twenty years ago things were very different when they arrived in Calcutta, starving and penniless, intent on making their fortune. Now, Papa Mandel, ruthless architect of the Mandel success story, is dead but his spirit lives on in his unwitting daughter, Jayanthi. 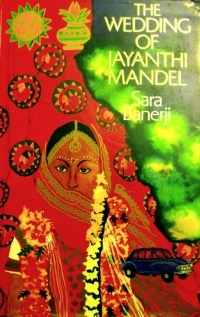 The Wedding of Jayanthi Mandel is an original and powerful work. The authentic feel of India is caught – its extremes, its mysticism, its beauty, the voices of its people. And underlying the drama is a detached and ironic humour which both illuminates and enriches this remarkable novel.